Senior Siobhan Haughey of the University of Michigan women’s swimming and diving team qualified for the 2019 World Championships and the 2020 Olympics at the 62nd Festival of Sport, held on Sunday (April 14) at the Hong Kong Sports Institute Swimming Pool. Less than a month removed from the NCAA Championships and only a day after arriving in Hong Kong, Haughey hit the FINA ‘A’ standard in two events. She lowered her previously-held national record in the 100-meter freestyle to 53.59, well below the qualifying standard of 54.38. That’s also the 10th-fastest time in the world this year. She returned to the pool in the 400-meter freestyle, achieving the FINA cut for the 200-meter freestyle on the first half of the race (1:57.16). The standard for the 200-meter freestyle was 1:57.22. This will be Haughey’s second trip to the Olympics after swimming at the 2016 Games in Rio. She reached the semifinals in the 200-meter freestyle, finishing 13th. In 2017, Haughey was fifth in the 200-meter freestyle at the World Championships, and won two gold medals at the 2017 World University Games. She did not compete in any international meets in 2018. 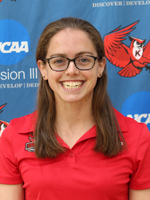 Before preparing for the Olympics, Haughey will first head to the 2019 World Championships, held July 21-28 in Gwangju, South Korea. She will be joined there by teammate and fellow Hong Kong native Jamie Yeung, who previously qualified in the 100-meter breaststroke at last summer’s Asian Games. With the qualifying times secured, Haughey will not swim finals and will return to the U.S. tomorrow. She will graduate next month with a degree in psychology, and plans to stay in Ann Arbor to train through the 2020 Games. — The above press release was posted by Swimming World in conjunction with University of Michigan Athletics. For press releases and advertising inquiries please contact Advertising@SwimmingWorld.com. be a fast learner, with just an effort, you could possibly learn all you could planned to very easily and free.